Pablo earned his MD from Universidad Autónoma de Madrid and his Doctorate in Medicine from University of Tübingen. His doctoral thesis focused on the treatment of malaria with artemisinin-based combination therapy in a paediatric population at the University of Tübingen and the Albert Schweitzer Hospital in Gabon. Pablo also completed his specialist training in clinical microbiology and parasitology at the Vall d’Hebron Hospital in Barcelona and proceeded to work in various areas of tropical medicine in many countries in Europe, Africa and Asia. At the time of Zika virus epidemic in 2014-2015 Pablo was head of Virology and Vaccine-Preventable Diseases laboratory of the Caribbean Public Health Agency (CARPHA) and later Acting Director of the Laboratory Services and Networks at the same agency. In 2016-2017 Pablo joined the Institut de Salut Global de Barcelona- Hospital Clinic, coordinating the public health response and research in Zika virus and other arbovirus before joining CCDD. 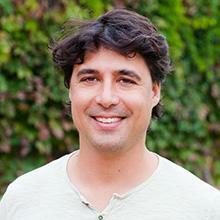 At CCDD Pablo’s work will focus on identifying critical within-host cellular processes that determine pathogenesis in individual hosts by using mathematical models and other computational tools. He will also aim to link the with-in host features to the clinical and epidemiological framework of the disease. He hopes that this work can provide better understanding of malaria infection at a clinical and epidemiological level and help to develop new hypothesis supporting disease treatment and control.